Airstream No. 2 has been officially named by Brian AND is now within reach. The Lunar Overlander has landed in Salida! I’m dreaming of the first time we will rest our heads inside the Lunar and wake up to a majestic view. 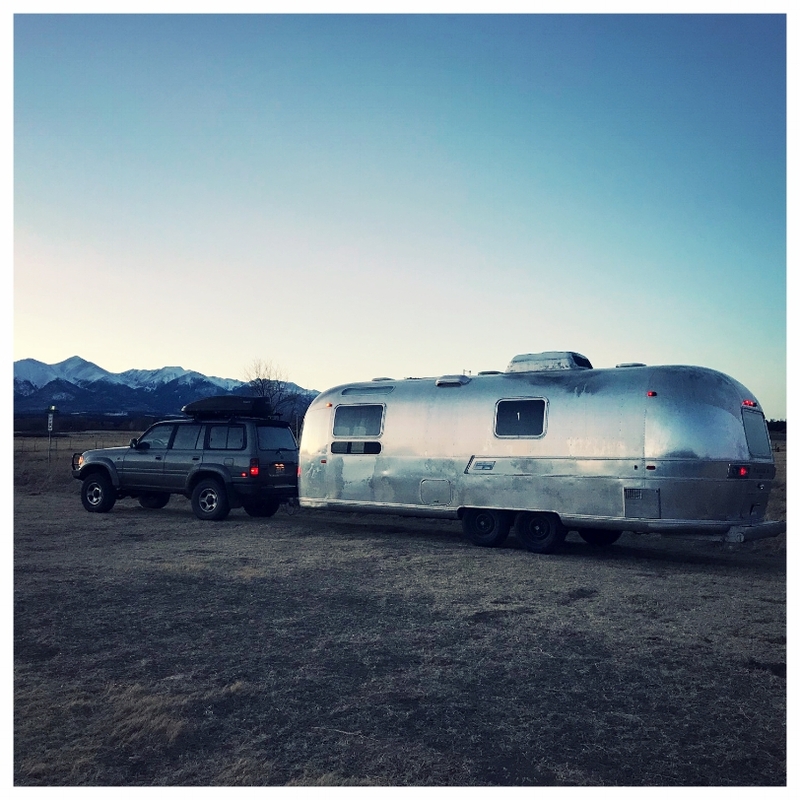 We find it ironic that we own two Airstreams and have slept in one only once. We would like to remedy that, for goodness sakes. With each step we take, I feel a new wave of hope. The most recent steps were putting new tires and a tag on the Lunar, setting it up for towing, naming it and then towing it from Lamar to Salida. Next up: Making it habitable. And with the Lunar, those steps will be more straightforward than the tasks necessary for the SpaceYacht. However, there are no easy steps that lie ahead with either Airstream. But, we know it’s worth the go. Our steps may be slow, but we are still taking them. No matter the pace, keep moving. Movement creates hope; hope ignites life.